Figure 6.11 Architectural and clothing fashions changed dramatically in the Interwar Years, reflecting changes in social values and influences arising from ancient civilizations like Babylon and Azteca. 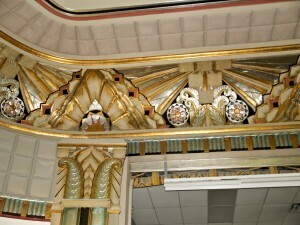 This detail is from the ceiling of the Snowdon Theatre in Montreal, 1937. No one knew, of course, that there would be a second World War. Not in 1918, not even in the mid-1930s. Such a thing was barely conceivable to most people and many nations’ leaders did their utmost to avoid another conflict or to ignore the signs of its coming. Three themes dominated public discourse in these years and all had their roots in uncertainty. Revolution in Russia in 1917 was a historic game-changer. In much of the western world in 1912-14, Marxist revolutionary movements were on the rise, their ascent cut off by the outbreak of war. Several factors brought matters to a head in St. Petersburg, the capital of one of Europe’s least industrialized nations. The foremost of these was the conduct of the war as a battle between imperial houses, many of which were headed by blood cousins. The inability of the Russian monarchy under the Czar to alleviate famine or entertain gradual political reforms allowed its opponents — led by Vladimir Lenin and the Bolshevik Party — to sweep the Imperial regime from power and then to withdraw Russia from the war altogether. Western members of the Triple Entente regarded this as a kind of double-jeopardy. Not only had an important ally left the battlefield (allowing Imperial Germany to focus its efforts fully on the Western Front) but a revolutionary communist government had arisen in a country where there was hardly an industrial proletariat to speak of. What might happen in states such as Britain or France where industrialization was much further progressed and an organized proletariat existed? The answer to that question came first from Germany, where social and political unrest increased as the war concluded, culminating in the November Revolution of 1918-19. The German rising was suppressed but its bloody demise inspired leftist movements across the West while terrifying conservative regimes in the aftermath of the war. Lenin’s regime in Moscow called on working-class organizations in other countries to rise up in support of the new Union of Soviet Socialist Republics (USSR) and the cause of world revolution. In part, this was a response to the international campaign to overturn the Russian revolution; even Canada sent troops to Russia to (unsuccessfully) put down the Bolshevik regime. Mostly, however, it grew out of the belief that countries undergoing their own revolution would be too busy to intervene in the USSR. In Canada the sense of pending social and political crisis was fed by a series of general strikes and violent confrontations between workers, employers, and authorities in 1919-20. The most noteworthy of these was the Winnipeg General Strike (examined in Section 3.9). Working people were themselves fearful that the economic boom of wartime would give way to an economic depression. They were also concerned that returning soldiers would displace workers in the industries to which they were returning and/or veterans’ needs would be disregarded and they would be thrust into poverty themselves. The Spanish Flu outbreak of 1918-19 was part of the background to this discontent: very nearly as many Canadians died in the pandemic over the course of one year as died in the War over the course of four. During recent periods of anxiety about the emergence of a new deadly strain of the influenza virus, attention has returned to the end of World War I, when pandemic influenza took the lives of 50 million people across the globe, and impacted the lives and futures of millions of others. Known as “Spanish” influenza only because the uncensored Spanish press was the first in the West to report the pandemic, approximately 55,000 Canadians died from the virus and its complications (bronchitis or pneumonia), compounding the human losses of the war. The most deadly of influenza’s three “waves” in the years 1918 and 1919 began in September 1918. Influenza was carried west across the country by the mobilization of Canada’s Siberian Expeditionary Force, sent to oppose the Red Army during a period of civil war following the Bolshevik Revolution of 1917. The expansion of the war effort took precedence over public health. Figure 6.12 Albertan men wearing masks during the influenza epidemic, 1918. Influenza, though it infected men and women from all races and classes, was not a democratic disease. The death rate among the non-Native population in British Columbia was 6.21 per 1,000 people; for the First Nations it was 46 per 1,000 people. In cities such as Hamilton, working class families were at greater risk of death than the well-off. Influenza, like other infectious diseases, was shaped by social inequality. It was also unimpeded by significant state preparedness. In 1918 there was no federal health department to coordinate an effective response to the disease. Many local governments and provincial boards of health, however, attempted to implement containment measures such as public school and church closures, the wearing of masks, and providing temporary emergency hospital beds where possible. Staffing these facilities was extremely difficult because of wartime shortages of medical and nursing personnel, even in major urban centres. The volunteer efforts of women were crucial to emergency health care, and to relief for the afflicted. Women provided food, clothing, and bedding for the sick and their families. Medical science had little to contribute to these efforts. Viruses were as yet unknown as disease agents, and influenza was not isolated until the early 1930s. Although there were attempts to create a “vaccine,” without the necessary medical knowledge, these were of little use. Although for much of the 20th century, historical memory of the pandemic was overridden by the public commemoration of the ‘Great’ War, influenza changed the circumstances of thousands of families with the loss of siblings, parents, and kin. It was woven into their family stories. Some were scattered as children went to orphanages or lived with extended family. Widows struggled to support their children without a male breadwinner; single fathers attempted to provide care for children without their wives. Other influenza sufferers never fully recovered their health. This dangerous variant of influenza lingered in Canada into the 1920s, and then faded from view. It had some impact on our health care system, contributing to the creation of a federal department of health in 1920. But as a blow to the aspirations of modern medicine, influenza confounded the narrative of medical progress. As a result, we still have much to learn about its history. Economic uncertainty (grounded in clear signs of a downturn), the challenges posed by the return of nearly half a million troops, unprecedented mortalities from influenza, labour unrest, and the example of a successful workers’ revolution abroad thus created an environment of anxiety. Systematic planning for a post-war recovery was not possible in these circumstances and the sense that things could go badly wrong in a hurry was slow to evaporate. This sense of catastrophic possibilities — forged in the fires of the Great War and sharpened in the months after the Armistice — is the first theme of the interwar years. At the same time, the 1920s were distinctive socially and culturally. Historians have commented on their frenetic qualities, the enthusiasm for change and new ideas, new things. 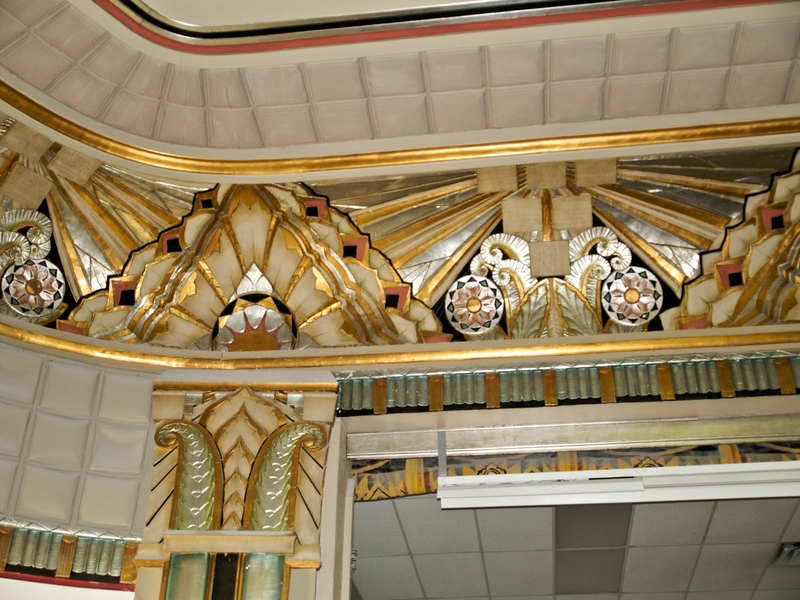 The rise of art deco — expressed in sculpture, household decoration, and most spectacularly in architecture — was one lasting element; the spread of radio and motion pictures was another; so, too, was the popularity of pulp novels, jazz music, suburban bungalows, and automobiles. 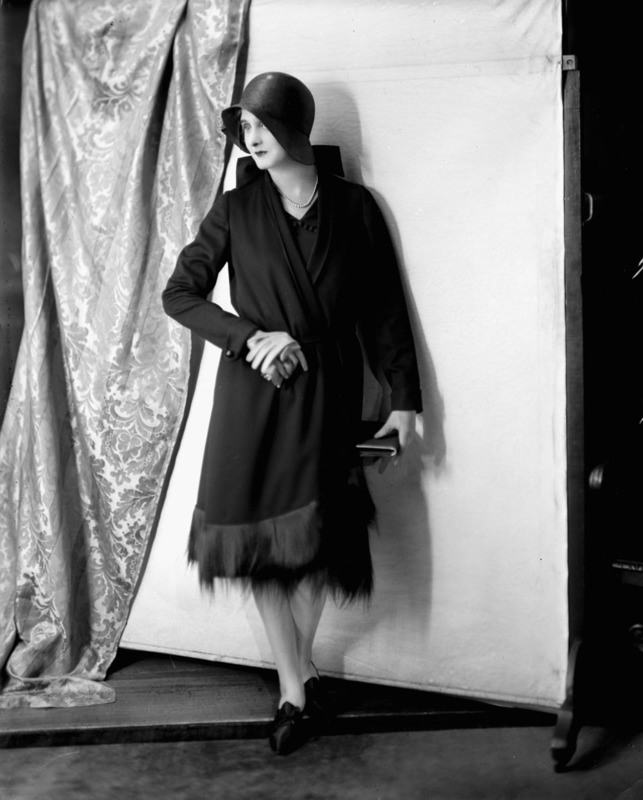 Even the flapper, that trademark female style of the 1920s, can be invoked as a landmark of change. Skirt lengths went up, bustles — a system of cushions or a framework of wire meant to exaggerate the dimensions of the female rump — disappeared, as did padding on the bosom. Boyishly thin bodies defined by straight lines aroused fears of gender-bending and “rumours swirled about sexual perversion, or at least confusion.” The amount of cloth that went into a typical pre-war dress ensemble ran to about 17 yards; by the late 1920s it had plummeted to less than 9 yards. Figure 6.13 By 1930 dress lengths were back over the knees but the material was still a fraction of what it was before the war. Some of these changes might seem superficial or trivial, but together they represent a reaction to the dislocation of the Great War, the loss of over 100,000 lives in combat and to disease, and a will to move on quickly from the past. In this, the 1920s were categorically “modern” in that they mark a break with the first 50 years of Confederation. Deeper needs were signalled by women who could vote and dress as they liked (and in defiance of the old arbiters of behaviour), and by radically changed aesthetics, radical politics, and contempt for the old order. One other expression of this change was the fall in fertility rates in the 1920s. Women may have been displaced from war industries but they didn’t retreat en masse to the home and hearth. Many continued to work, postponed marriage, and experimented with (illegal) contraceptives. Canadian family size began a sharp downward turn that even the 1940s-’60s baby boom could not completely reverse. All of this can be lumped together as a second theme: a sense that enough had been sacrificed by the people and the nation as a whole and a conviction that now Canadians might pursue the new and, ideally, prosperity. The economic landscape of the interwar years is examined more fully in Chapter 8 but here its roughest outlines must be drawn. The collapse of stock markets and the commodity markets in late 1929 ushered in a decade of economic hardship. For those who had money, these were great years: buyers were few and far between, sellers were many, prices were low. For wage-earning Canadians, however, this was an economic disaster that, at the time, was often compared to the Great War. What the war had been in human conflict, the Depression was in terms of economic suffering. What little welfare state existed at the end of the war was insufficient to address the kind of dislocation experienced across the country. In British Columbia, for example, there was a new workmen’s compensation program in 1916, a women’s minimum wage introduced in 1918, and mother’s pensions in 1920; some of these were subject to wrangling over the “moral fitness” of applicants and most were weakened by the mid-’30s, if not earlier. The economic issue for politicians was as much a philosophical as a tactical one: should one interfere in the workings of the economy and run the risk of worsening matters or stand back and allow suffering to continue? Past experience taught Canadians and their leaders that trade depressions never lasted more than a few years at a time. By 1935 few believed that to be the case anymore. As a generalization, one can say that every government that was in office — federally or provincially — in 1929-30 was kicked out of office the very first chance the voters got. The economic depression thus brought with it unprecedented political discontent and a sense, too, that capitalism was taking its last laboured breaths. This is the third of the three interwar themes: defining the role of the state in the face of economic disaster. Ottawa wrestled with this for a decade and, in that regard, the 1930s are a crucible for economic thinking and policy for the rest of the 20th century. The interwar years were marked with fear of a global proletarian uprising, triggered by events in Russia. The 1918-19 influenza pandemic claimed nearly as many Canadian lives as the Great War and over a much shorter period of time, taking a tremendous toll on social and public health. Economic recovery in the “Roaring ’20s” was capped by economic collapse in the Depression of the 1930s. Canadians’ expectations of the state underwent profound changes from the Great War, through the 1920s, and the 1930s. Snowdon Theatre by Sandra Cohen-Rose and Colin Rose is used under a CC-BY-NC-SA 2.0 license. 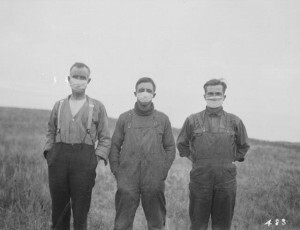 Men wearing masks during the Spanish Influenza epidemic (Online MIKAN no.3194045) by Library and Archives Canada / PA-025025 is in the public domain. Model wearing dress for Northway Co. advertisement (Online MIKAN no.3544610) by Library and Archives Canada/PA-053423 is in the public domain. 6.6 The Interwar Years by John Douglas Belshaw is licensed under a Creative Commons Attribution 4.0 International License, except where otherwise noted.